I'm Richard Wimberley of The Eric Burch All Star Team! We hope you enjoy your visit with us and invite you to explore our site for valuable information on Greater Jonesboro real estate. No matter what your real estate needs, we're dedicated to helping make your home buying or selling experience a happy one. Search for Jonesboro AR Real Estate, Brookland AR Real Estate and Bono AR Real Estate, you only need to know Richard Wimberley and BURCH&CO Real Estate. Please call 870-897-7284 for immediate and professional service. Would you like to receive Listings that meet your specifications instantly? New listings come on the market daily with the best values selling first. I can put together a customized list of homes that meet your specifications. Call Richard Wimberley at 870.897.7284 or simply fill in the box below. Don't settle for what's left when I can take you to the best! I keep an up to date list of these best properties for sale, so please contact me today so I can help you find the best deal that meets your needs- Richard Wimberley- (870) 897-7284 or simply fill in your name and e-mail address in the form below. We know you'll love our hometown too! Jonesboro is growing by leaps and bounds. Our city offers quality health care, highly acclaimed public schools, a university for higher education, excellent shopping, a great place to raise a family, and so much more. Hopefully, sometime soon we'll be helping you find your next home in this quality environment. As always, we look forward to hearing from you and hope to bring you home here in Jonesboro. For Jonesboro AR Real Estate, Brookland AR Real Estate and Bono AR Real Estate, you only need to know Richard Wimberley and The Eric Burch All Star Team of BURCH&CO Real Estate. Please call 870 897 7284 for immediate and professional service. In our first year in real estate, we had 45 transactions, 4.5 million in sales and we were awarded Rookie of the Year by the Jonesboro Board of Realtors. Last year, The Eric Burch All Star Team was named #1 in Residential Sales for Jonesboro. The Eric Burch All Star Team has also been voted "Jonesboro's Local Favorite Real Estate Agent" for three years in a row. We are working with qualified buyers everyday and your home may be the one. Our team possesses the knowledge and experience to accommodate active lifestyles and to give you peace of mind - we call it a Seamless Transaction. Jonesboro is the 5th largest city in Arkansas and the 2nd largest in square miles. Jonesboro has a population of 60,489 and 24,263 total housing units. Form a triangle by connecting Little Rock, St. Louis, and Memphis, and you’ll see Jonesboro stands out as the largest metropolitan city in what amounts to a 17,000 square-mile triangle area. The Jonesboro region is a proven leader in a number of categories attractive to business, including geography, favorable climate, viable economy, advantageous tax structure, affordable housing, low crime rate, growing medical community, opportunity for education, expanding retail and industrial community, recreational opportunities, cultural, sports and civic organizations, plus low utility costs. The Jonesboro MSA was recently recognized as 7th strongest in the nation for manufacturing. 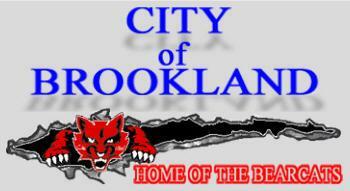 Brookland AR is just 10 minutes from Down town Jonesboro AR. We know you'll love our hometown too! Jonesboro is growing by leaps and bounds. Currently Brookland has a population of 1,332 and a 537 total housing units. Our city offers quality health care, highly acclaimed public schools, a university for higher education, excellent shopping, a great place to raise a family, and so much more. Hopefully, sometime soon we'll be helping you find your next home in this quality environment. As always, we look forward to hearing from you and hope to bring you home here in Jonesboro. Bono Arkansas is a bedroom comunity, in Craighead county, is 7 miles NW of Jonesboro, Arkansas (center to center) and 67 miles NW of Memphis, Tennessee. The city is considered part of the Jonesboro metropolitan area. Bono has a population of 1,512 and 634 total housing units.